Securing a job with Kroger is a great career opportunity for every fresh graduate as well as mid-level professionals. Also, considering the sheer size of the company, vacancies spring up almost all the time, so there’s a great chance to be able to be a part of this opportunity. After you complete the job application process, if your experience recommends you, you will likely be phoned to come in for an interview. In today’s career guide, we have selected some of the most encountered Kroger interview questions you can expect. We will also provide you with examples of how to correctly answer these questions, as well as a brief overview on the entire Kroger recruiting process. Today, Kroger is the largest supermarket chain by revenue, and therefore among America’s best known and loved brands. In addition to their supermarkets, they also include department stores, supply stores, convenience and jewelry stores (the Fred Meyers stores) in their brand. In other words, Kroger is an immensely developed and developing business, which offers plenty of opportunity for you to grow with them. For those among you who are currently at the beginning of your careers, more common choices include the Cashier, Bagger and Clerk positions. It’s a great learning opportunity for someone who is just starting out in their careers, and you will polish skills you never knew you had. Here’s what else you need to know about getting a job at Kroger. The minimum age requirement is 16 years old. More advanced jobs, however, will also require significant job experience prior to applying, so those will obviously only be open to people in their twenties, at least. The average hourly wage you can expect for a Cashier or Clerk job is around $8.38 – $8.48 an hour, depending on the exact job responsibilities and other influencing factors. Now that we have the basics covered, let’s move on towards the actual interviewing process you can expect from Kroger. After you complete your job application online, you will be contacted within the next two weeks if you are selected for an interview. You will typically receive a phone call from a Kroger representative who will invite you to one of their stores or office centers. After you go in for the interview, the process will be pretty straightforward. The entire discussion shouldn’t take longer than 20 minutes or half an hour, tops. Be polite and professional, but also relaxed. It’s not an excessively formal meeting so it’s ok to be at ease. On average, you will be asked 5-6 questions. Here are some of the most common Kroger interview questions you can expect, as well as examples on how to answer them for the best. Some of the interview questions you may expect during your Kroger recruitment process are common for all jobs you may apply for. Others are more job-specific, so your interviewer can assess how you would react in a particular situation. We will present for you below first some general questions, and then some questions you are likely to be asked when applying for a Bagger, Cashier or Clerk position. 1) Why do you want to work for Kroger? This question is meant to assess your motivation and personal affinity with the company. It’s a well-known fact of HR science that people work much better when they like their employer. I really like the Kroger stores, first and foremost from a customer’s point of view. I always felt an admiration for the men and women who work so hard to make life easier for the rest of us. I would feel proud to have a chance of joining this effort. This may sound pretty intimidating when posed up-front, so it’s best if you practice answer it before going in for the interview. This way you will sound more confident when answering. My previous job experience (you can also mention your education, or volunteering experience, if this is your first job) helped me be comfortable around working with people. Furthermore, I have a genuine interest in polishing my customer service skills in a company like Kroger. A fast-paced environment makes me thrive, so I think I would be a valuable addition to your team. 3) What motivates you to give something your best? I work best when I find my work to be challenging, so a fast-paced environment, or working under pressure, helps me perform on the top of my game. But what really makes me love getting up and going to work in the morning is the knowledge that I actually help people through what I do. If I manage to make a customer’s life easier, I feel good about my job as well. 4) Are you good with working in a team? Obviously, the way you answer this one is very important. Based on how you respond to this question, the interviewer will assess if you are a good team player or not. I always got along well with my other team members or colleagues, in friendly but polite way. I work best when being part of the team and I like helping out people with their tasks as well. These questions are very likely to come up during your Kroger job interview when you are applying for a Produce Clerk, Grocery Clerk, Cashier or Bagger position. 1) Are you good with people? This is an indirect way of asking about your customer service skills. I always felt at ease around people and I was also good at making others at ease around me. I am pretty confident that my people skills were always effective, both in my professional life so far as well as in my personal life, with family and friends. 2) How would you handle an angry customer? Another way to verify your people skills, for the delicate but very likely situation of dealing with an angry customer. I understand that the way we respond to an angry customer in the first few moments is crucial to keeping or losing that client. Therefore, I would start by apologizing for whatever made the customer upset, whether they are right or not. Then, I would politely listen to their complaint and then do the best in my power to solve the problem. If tackling the issue goes beyond my current level of access, I would then ask for help from my manager. 3) What customer service skills do you have? During my previous employment, as well as during my studies and / or volunteering experience, I learnt about how important it is to have good customer service skills. I was always good at making customers feel welcome, and I look further to polishing my customer service skills even further as part of your team. 4) How would you solve a conflict with another employee? I am not a conflictual person and I don’t enjoy tensions between me and the people I work with, so I would like to solve it as fast as possible. I think I would try to understand what made my co-worker upset and apologize for the part I played in their dissatisfaction. Then, a little kindness along the way should make things ok between us again. In the unlikely scenario where this doesn’t seem to work, I would probably ask for private advice from my manager. 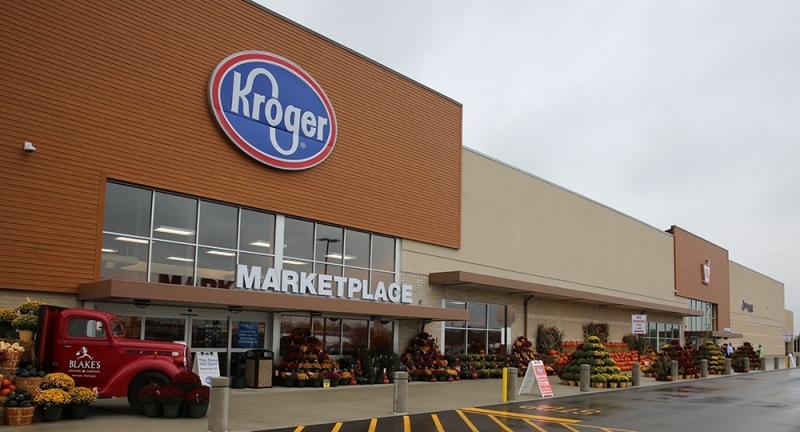 While there may be other Kroger interview questions you can expect during your recruitment process, most of them will be variations of the ones above. Good luck with your interview!